Everything photographs blue in my kitchen nowadays. Must be the new light fixture. We ate our first wax beans and dragon’s tongue beans this evening. I fixed my family’s recipe that includes bacon and onions, of course. 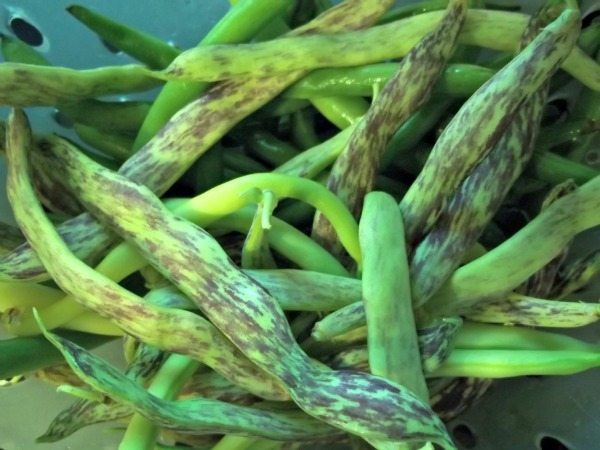 The dragon’s tongue beans turn yellow when they’re cooked.